With its all-metal build and what Canon is describing as a 'chiseled' faceplate, there's no denying that the new Digital IXUS 90 IS, while physically larger than the recently-announced IXUS 80 IS, continues the range's tradition of stylish, good-looking pocket cameras. That much is expected. Instead of the IXUS 80's eight megapixel headline specification married to a 2.5-inch rear LCD however, the Canon Digital IXUS 90 IS features 10 megapixels and a larger 3-inch LCD with 15 levels of brightness adjustment, though the resolution remains at its little brother's 230k pixels. The bigger screen with a wide viewing angle and equally useful glare resistant coating means that the Digital IXUS 90 IS does away with an optical viewfinder entirely � not that it's missed. At a penny shy of �260 in the UK, you're paying an additional �40 over Canon's asking price for the IXUS 80 IS to get those additional two million pixels and chunkier build into the bargain. 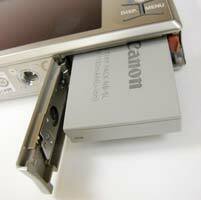 Gavin Stoker found out if the new Canon Digital IXUS 90 IS is worth the extra cost. You still get a 3x optical zoom though (35-105mm equivalent in 35mm terms), while the Canon Digital IXUS 90 IS feels altogether heavier and more solid in the palm at 155g body-only than the otherwise impressively constructed IXUS 80 IS. 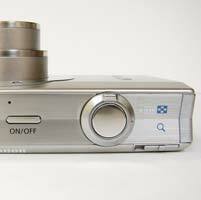 If the earlier camera was Canon's attempt to woo women, with its soft edges and curvaceous faceplate available in various colours, the more Teutonic-styled Digital IXUS 90 IS, a claimed evolution of the design of the digital IXUS 75, could be interpreted as very much a man's camera. If square corners and hard angular edges aren't your thing however, Canon has released a 'prettier' 85 IS model alongside the IXUS 90 IS, which again features 10 megapixels but rounded corners plus an optical viewfinder. Back to the Canon Digital IXUS 90 IS though. That 'IS' suffix again indicates the fact that the latest IXUS features lens-shift optical image stabilization, providing a claimed three-stop advantage when shooting in low light conditions. Like the IXUS 80 IS, there are several stabilization settings to choose from � either continuous adjustment to counteract camera shake/hand wobble, shoot only (the function activating only at the point of pressing the shutter release button), or when panning through a shot. You can also turn IS off entirely. Light sensitivity runs the incremental gamut from a manually selectable ISO 80 through to ISO 1600, though an ISO 3200-equivalent setting is added to the mix this time around as a standalone shooting/scene mode. You also get motion detection technology, first introduced on the IXUS 80 IS, which works in tandem with the IS and automatically bumps up the ISO (again between ISO 80 and a maximum ISO 800), when required, to (in theory) avoid image blur. Guessing that most people use a point and shoot like the Canon Digital IXUS 90 IS for images of friends and family as much as holiday snaps, face detection is again automatically activated as the camera's default setting � and, like the IXUS 80 IS, you get the face tracking and face detection white balance functionality to ensure accurate results. As we discovered with the IXUS80 IS, the sturdy IXUS 90 IS again comes bundled with a 32MB SD card out of the box, and, while the full manual is only presented on CD ROM, there is likewise a quick start guide to get you up and running. Charger, AV and USB cables plus wrist strap are also provided. With its business-like, brushed steel faceplate, the front of the camera is an exercise in economy � a covered, internally stacked lens barrel is surrounded by a partly mirrored circular motif, with a AF assist/self timer lamp immediately above and flash window to one side. Similarly the top of the camera is nigh identical to its 8MP little brother, with this time around an even thinner sliver of an on/off button nestling in a gentle V-shaped dip that runs the length of the camera. Press this button and the lens shoots out to maximum wide-angle setting, the rear screen simultaneously busting into life � a process taking all of a second. The Canon Digital IXUS 90 IS is lightning quick to determine focus and exposure and it's fun to watch the compositional squares dancing about over people's faces in the frame if you've left the camera on its default face priority function. You also get a slightly larger shutter release button than the IXUS 80IS this time around, again ergonomically encircled by a lever for operating the zoom. Though this is smooth and responsive to the touch, it is sound tracked by a mechanical buzz; that said in all but the quietest settings this is unlikely to prove a distraction. 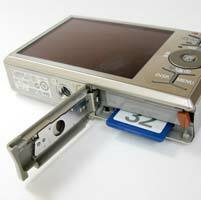 The lion's share of the back of the Canon Digital IXUS 90 IS is inevitably given over to its 3-inch LCD monitor, with attendant controls arranged vertically in a panel to the right. At first glance the rear controls resemble hieroglyphics � and the flat panel layout, while maintaining a streamlined feel, is certainly fussier than the pared-down layout of the entry level 80 IS. Set into a forward sloping ridge at the top of the Canon Digital IXUS 90 IS' back is a three setting slider featuring the chance to swap between the shooting options of video capture, pre-optimised scene modes and stills capture. To access the various settings within these modes, you need to use the flat circular control dial below � run your thumb over its dappled surface and a virtual mode dial appears onscreen. It's easy to rapidly toggle back and forward between the options and select them with a press of the function/set button at the wheel's centre. So far, so user friendly. In video mode, as well as standard (640x480 pixels at 30fps) or time lapse movie clip capture, you also get the option of the Canon-issue camera effects more usually reserved for stills, such as colour swap or colour accent, plus a 'compact' mode for shooting low resolution (160x120 pixels at 15fps) clips for email or web use. The 19 scene modes this time around include the aforementioned ISO 3200 setting for low light captures without flash, both an underwater and aquarium mode, plus the sunset setting previously found on the IXUS 80 IS, along with the expected portrait, beach and snow plus kids and pets modes. Flicking the slider to its far right setting and running your thumb over the command wheel brings up on screen the rotating options of full auto stills capture or manual, plus two stitch assist modes for compositing panoramas, colour swap, colour accent or digital macro. Beneath this three-setting slider is what resembles a pair of opposing brackets, or possibly a capitol 'I' jumping for joy. Providing clear demarcation, the brackets house, to the left, a soft control for earmarking images for print in conjunction with another Pictbridge-enabled device, while to the right is the familiar triangular icon denoting image playback. Beneath these flush to the surface 'buttons' � the metal that covers them providing just the right amount of 'give' � is the aforementioned control dial encircling that function/set button. Press the latter and, as with the IXUS 80 IS, an L-shaped toolbar appears down the left hand side and across the bottom of the LCD screen. In full auto mode, the highlighted options on the 'bars restrict you merely to choosing image size and quality, but if you rotate that control dial around to manual mode, the rest light up to additionally provide you with an exposure compensation slider (+/- 2EV in successive increments of a third), the ability to adjust white balance, make a selection from the effects within the standard-issue Canon 'my colors' palette, plus choose between evaluative, centre weighted average or spot metering. That's just enough options then to keep things interesting while maintaining the point-and-shoot Canon Digital IXUS 90 IS' user-friendly feel. Ranged at compass points north, south, east and west around the control dial are the exact same settings as found on the IXUS 80 IS; namely, and in that order, a means of adjusting ISO settings when in manual mode, then up next a continuous capture option (the IXUS 90 IS boasts a maximum 1.4 fps, slightly up on the IXUS 80's 1.3), self timer option and, when in playback, a delete button. East of the dial is a means of selecting from the various flash options (manual capture again providing an additional fill-in flash option alongside auto or off, though red eye reduction, which the camera claims to automatically correct for, is buried within the main menu). The final option/s to the west of the dial allow the user to switch between infinity or macro focus. Beneath the control dial is another pair of operational 'brackets' (or dancing letter 'I') housing flat panel controls for the self-explanatory 'display' and 'menu'. A single press of display turns off the shooting icons that populate the edges of the screen variously telling you the number of shots remaining or indicating battery life, while a further press turns them back on again. For obvious reasons you cannot turn the display off entirely (there's no optical viewfinder, remember), though the screen will power down if left inactive for a time. 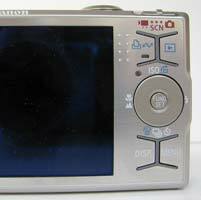 A press of the menu 'button' unsurprisingly brings up a three folder set immediately familiar to any Canon IXUS user, with main shooting options, set up options and the less essential camera sound and screen appearance options. Menus are logically and clearly laid out, and once again tabbing through the available options is achieved via the control dial, while a further press of the central function/set button implements them. At the base of the camera is again a dual use compartment with spring-loaded sliding cover that houses the rechargeable lithium ion battery and supplied memory card (SD/MMC or SDHC). Next to this is a screw thread for mounting the IXUS 90 IS on a tripod, if required. On the right hand flank of the camera, if viewed from the rear, is a metallic exterior/plastic interior flap covering a dual use port for the supplied AV cable/USB lead, while on the opposite side is a speaker for replaying video clips with sound. Overall, operation is fuss free and fast, thanks in part to the on-board Digic III processor and the IXUS 90 IS functions and features easy to locate and implement. There's little in the way of real photographic control for sure, but like its predecessors the camera makes a decent fist of most aspects of its functionality, with battery life acceptable (around 300+ shots from a single charge) given that there's no optical viewfinder to fall back on. So what of the images themselves? Are they as flat as the Canon Digital IXUS 90 IS' exterior controls, or do they bristle with a three-dimensional quality at odds with the camera's utilitarian exterior? PhotographyBLOG is a member of the DIWA organisation. Our test results for the Canon Digital IXUS 90 IS have been submitted to DIWA for comparison with test results for different samples of the same camera model supplied by other DIWA member sites.